We have been called quirky, driven, fun-loving, talented, compassionate, and even witty at times. We’re the people behind iHeartDogs! 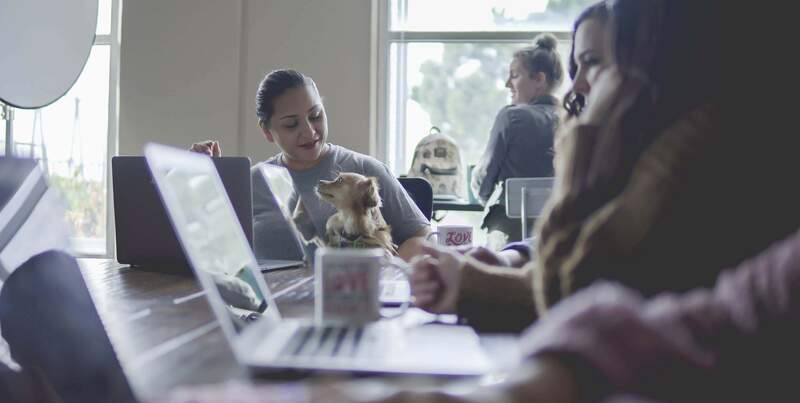 We bring our diverse set of skills and backgrounds to the table every day and work hard to progress our mission – to spread awareness for pets and individuals in need. To us, every day is an opportunity to help more shelter and rescue pets find their forever homes, and help the people who want or need a furry friend find their forever pet. When hiring, we look for people who exhibit our core values of Humility, Tenacity, Adaptability, and Generosity. Our team is super collaborative – we make sure that everyone’s voice is heard. In fact, we constantly source new product ideas, process improvements, and marketing and communications strategies from the entire company. We also promote continued learning and provide opportunities to further your expertise. Our employees work hard and we reward them with competitive pay in addition to some really awesome perks, such as free daily lunch, flex hours, unlimited vacation, a fun, pet-friendly working environment.